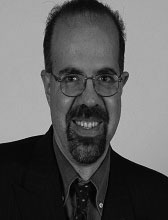 Dr. Ramon F. Brena is full professor at the Dept of Computer Science, Tecnologico de Monterrey, Mexico, since 1990. He holds a PhD from the INPG, Grenoble, France, and has been visiting professor at the U. of Texas at Dallas and the Université de Montréal. Dr. Brena has published 50 journal papers or book chapters, presented over 70 works in conferences, and has participated in over 30 conference Program Committees. He is member of the AMC (Mexican Academy of Sciences), SMIA (AI Mexican Society), the AAAI and the ACM, and is recognized as an established researcher by the official Mexican research agency, CONACyT (SNI level I). Research interests of Dr. Brena include Machine Learning, Information fusion, Agent-based and multiagent systems, Ubiquitous Computing and Pervasive Intelligence, as well as Artificial Intelligence in general.